A good novelist needs be a good historian. 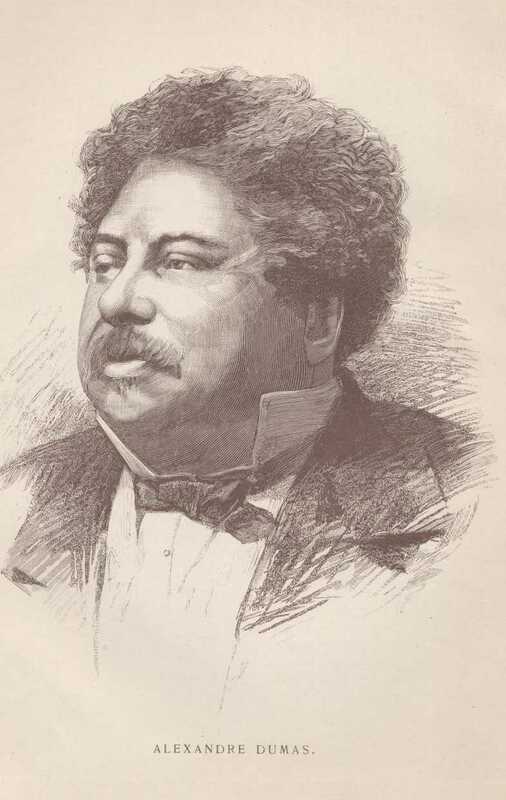 Alexandre Dumas was a novelist who knew his history. At least in his early works, he was meticulous in his research. This series of books are histories which place most romantic novels in the shade; they cover many centuries and many lands--those concering the rennaissance popes are especially intriguing. Dumas's 'Celebrated Crimes' was not written for children. The novelist has spared no language--has minced no words--to describe the violent scenes of a violent time. Dumas, in fact, wrote his 'Crimes Celebres' just prior to launching upon his wonderful series of historical novels, and they may therefore be considered as source books, whence he was to draw so much of that far-reaching and intimate knowledge of inner history which has perennially astonished his readers. The Crimes were published in Paris, in 1839-40, in eight volumes, comprising eighteen titles--all of which now appear in the present carefully translated text. The success of the original work was instantaneous. Dumas laughingly said that he thought he had exhausted the subject of famous crimes, until the work was off the press, when he immediately became deluged with letters from every province in France, supplying him with material upon other deeds of violence! The subjects which he has chosen, however, are of both historic and dramatic importance, and they have the added value of giving the modern reader a clear picture of the state of semi-lawlessness which existed in Europe, during the middle ages. "The Borgias, the Cenci, Urbain Grandier, the Marchioness of Brinvilliers, the Marchioness of Ganges, and the rest--what subjects for the pen of Dumas!" exclaims Garnett. Another famous Italian story is that of the Cenci. The beautiful Beatrice Cenci--celebrated in the painting of Guido, the sixteenth century romance of Guerrazi, and the poetic tragedy of Shelley, not to mention numerous succeeding works inspired by her hapless fate-- will always remain a shadowy figure and one of infinite pathos. "Not a mere artist"--writes M. de Villemessant, founder of the Figaro,--"he has nevertheless been able to seize on those dramatic effects which have so much distinguished his theatrical career, and to give those sharp and distinct reproductions of character which alone can present to the reader the mind and spirit of an age. Not a mere historian, he has nevertheless carefully consulted the original sources of information, has weighed testimonies, elicited theories, and . . . has interpolated the poetry of history with its most thorough prose." Having seen that Beatrice was sentenced to the torture ordinary and extraordinary, and having explained the nature of these tortures, we proceed to quote the official report:-- "And as in reply to every question she would confess nothing, we caused her to be taken by two officers and led from the prison to the torture chamber, where the torturer was in attendance; there, after cutting off her hair, he made her sit on a small stool, undressed her, pulled off her shoes, tied her hands behind her back, fastened them to a rope passed over a pulley bolted into the ceiling of the aforesaid chamber, and wound up at the other end by a four lever windlass, worked by two men." But from this period, each flux and reflux bears more and more the peculiar character of the party which for the moment is triumphant; when the Protestants get the upper hand, their vengeance is marked by brutality and rage; when the Catholics are victorious, the retaliation is full of hypocrisy and greed. The Protestants pull down churches and monasteries, expel the monks, burn the crucifixes, take the body of some criminal from the gallows, nail it on a cross, pierce its side, put a crown of thorns round its temples and set it up in the market-place--an effigy of Jesus on Calvary. The Catholics levy contributions, take back what they had been deprived of, exact indemnities, and although ruined by each reverse, are richer than ever after each victory. "All passions," says La Bruyere,--"all passions are deceitful; they disguise themselves as much as possible from the public eye; they hide from themselves. There is no vice which has not a counterfeit resemblance to some virtue, and which does not profit by it." On the 10th of, August 1557, an inauspicious day in the history of France, the roar of cannon was still heard at six in the evening in the plains of St. Quentin; where the French army had just been destroyed by the united troops of England and Spain, commanded by the famous Captain Emanuel Philibert, Duke of Savoy. An utterly beaten infantry, the Constable Montmorency and several generals taken prisoner, the Duke d'Enghien mortally wounded, the flower of the nobility cut down like grass,--such were the terrible results of a battle which plunged France into mourning, and which would have been a blot on the reign of Henry II, had not the Duke of Guise obtained a brilliant revenge the following year. About the end of the reign of the Emperor Paul I--that is to say, towards the middle of the first year of the nineteenth century--just as four o'clock in the afternoon was sounding from the church of St. Peter and St. Paul, whose gilded vane overlooks the ramparts of the fortress, a crowd, composed of all sorts and conditions of people, began to gather in front of a house which belonged to General Count Tchermayloff, formerly military governor of a fair-sized town in the government of Pultava. The first spectators had been attracted by the preparations which they saw had been made in the middle of the courtyard for administering torture with the knout. One of the general's serfs, he who acted as barber, was to be the victim. These quotations were collected from the works of Alexandre Dumas by David Widger while preparing etexts for Project Gutenberg. Comments and suggestions will be most welcome.